Did Your Online Sportsbook Make the Grade this Year? 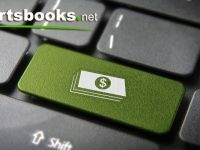 Whether you have been working with the same online sportsbook for years when it comes to your Internet sports betting activity or jumping around from one book to the next, you should always take the time every once and awhile to rate a book’s performance against certain online betting industry standards. 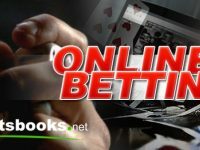 While there are a number of online sportsbook review sites out there that continually monitor the weekly and monthly activity of just about every online book in the game, there is still no substitute for performing your own due diligence from time to time. Withdrawal requests and timely payouts would probably be at the top of anyone’s list when it comes to a good way to rate an online sportsbook. 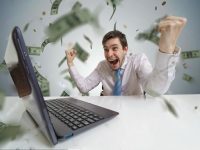 No matter what kind of sign-up bonus offer, on-going promotions and other incentives that are routinely used by online books to attract sports bettors to their sites, if you do not get paid in a timely fashion or paid at all, it is time to start looking for a new online betting outlet. 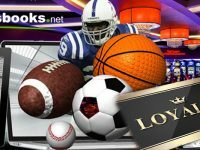 The quickest way to get a poor rating as an online sportsbook is to get a bad reputation for paying off winners. 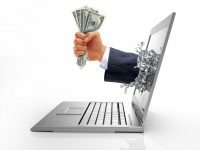 Issues do arise from time to time that may delay a payout request so you have to add in a certain amount of built-in leeway when it comes to withdrawal requests, but if you are consistently running into issues getting paid, this could signal a major red flag for the online book you are currently doing business with. Many of the avid sports bettors out there will utilize a bank of online books for their sports betting activity, which makes it very easy to compare one site against the next. Another area where you should continually perform your due diligence as part of the rating process is a book’s overall experience and reputation in the online sports betting industry. Just because a book has been taking action for the past 10 or 15 years does not automatically make it one of the best out there, but longevity and experience in what can be a highly competitive industry has to count for something. If an online book does not know all the ins and outs when it comes to taking action on sports, it is going to quickly fall by the wayside. Offshore sportsbooks operating online come and go all the time, so it is always important that you verify the complete background of any site that you are considering opening up a betting account with. The third way to rate any online book is through the overall diversity of its betting board. If you are the type of sports gambler that only makes a few straight bets a week on the big games in the NFL or NBA, then diversity may not be at the top of your list when it comes to picking a online book to take your action. However, if you are the type of online sports bettor that is always looking for new and exciting ways to bet on the games, then you need an online book with a wide variety of betting options for an equally wide array of sporting events. 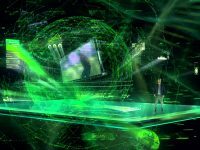 Some of the biggest growth areas in the online sports betting industry are in live in-game wagers and daily team and player props. Live in-game betting lets you continually bet on a game after it has gotten underway. Most of these bets are centered on the concept of ‘what happens next’. Prop bets have become big business in recent years and the top online books in the game will post daily team and player props for leagues such as the NFL, NBA, NHL and MLB. The most innovative books in the industry are always looking for new and exciting ways to expand their offerings.